Polling is now closed for our proposal. Welcome to Origins, a platform which enables transparent sourcing and authentication of raw materials in global supply chains. 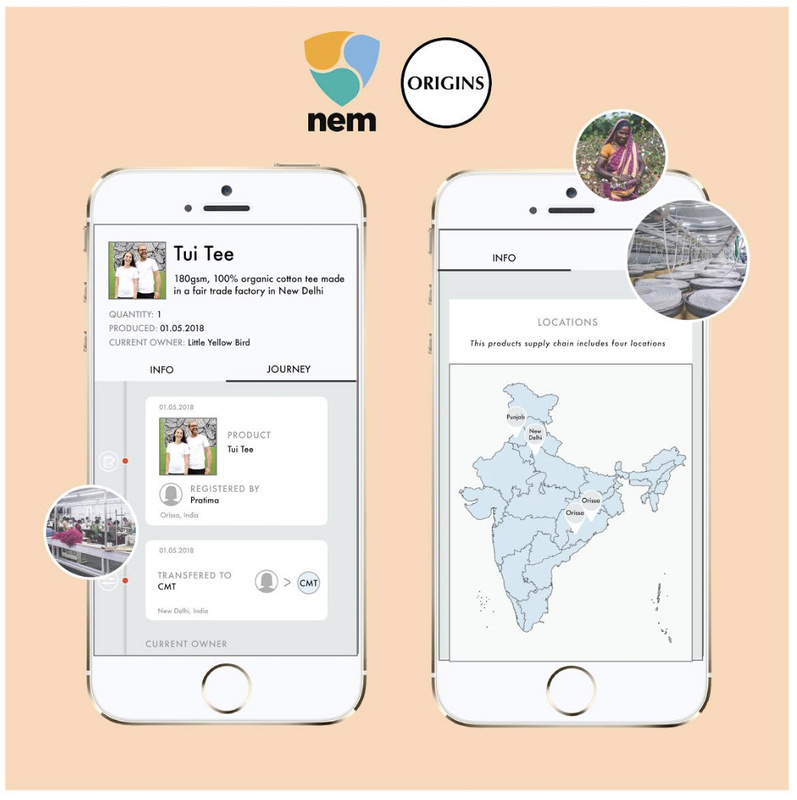 The Origins platform is a NEM-powered supply chain analytics tool aiming to replace existing supply chain management solutions and third-party verifications with real-time, live data and transaction history to change consumer and retailer behaviour, and create tangible social impact using the NEM blockchain. We believe that the Origins authentication platform will provide significant value for the NEM ecosystem through having a real industry solution implemented. Please help to support the development of the platform powered by NEM. We are applying for funding support from the NEM Community Fund programme. Please note this proposal is requesting funding for an early-stage organisation who plans to implement blockchain technology to solve supply chain issues they have experienced firsthand. Little Yellow Bird, founded by the same team is its own entity and certified B-Corp now in its fourth year of trading. It will be the first customer and test case to use this platform. We have already invested in solution design, web, creative, and strategic development with proofs of concept for our supply chain management tools and platform. Everyone wears clothes, but few of us spend time reflecting on what goes into manufacturing various textiles and their environmental impacts. Most people actually know very little about most of the products they use. Fashion garments generally travel through vast networks of suppliers, retailers, distributors, transporters and storage facilities yet in almost every case these journeys remain an unseen dimension. The apparel industry accounts for 6.7% of the world’s greenhouse gas emissions, with more than 50% coming from 3 phases: fibre production (15%), yarn preparation (28%), and the highest impact phase - dyeing & finishing (36%). 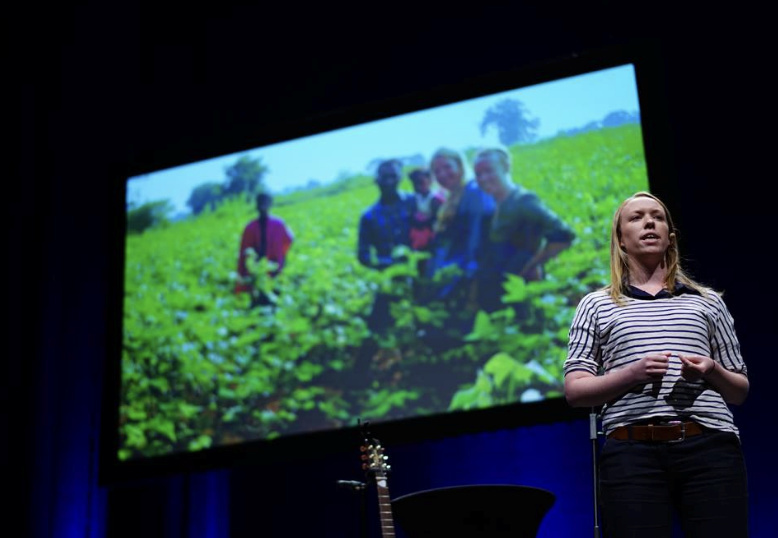 Without understanding the origins and impacts of the clothes we purchase, we inadvertently buy into a system that depletes natural resources and reinforces the cycle of poverty inherent in garment producing countries. Most third-party verification and rating systems exist. All are costly for brands and provide little benefit in terms of validating the authenticity of the supply chain. This has also resulted in mass misinformation and confusion for consumers. Most third-party verification systems are also unable to mitigate against “greenwashing” and the outcome of any certification is often just a printed label on packaging with no ability for the customer to validate the claim. Certification schemes in regions with levels of high corruption is also a major flaw in the current system. We have seen the emergence for solutions in food production, but we are yet to see a working solution that streamlines the complexity in the garment sector. While several companies are working on existing blockchain technology solutions, nobody is developing a fully functional and interoperable supply chain solution specifically for the fashion industry using NEM. Both consumers and governments are calling for greater transparency from brands and manufacturers. The market for proof of ownership is growing and will soon become essential when regulations like the UK and Australian Modern Slavery Act come into force, requiring companies to accurately and reliably report on their supply chain activities. This represents a significant business opportunity sitting just around the corner. Little Yellow Bird primarily makes uniforms and branded workwear as well as supplying fabric and white labelled products for other conscious brands. Our supply chain is relatively simple (and unique) with multiple production processes occurring in the same location. We also have strong relationships with the farming cooperatives, with existing investments in various community development projects over the previous three years. Example supply chain below or learn more about the Little Yellow Bird supply chain here. 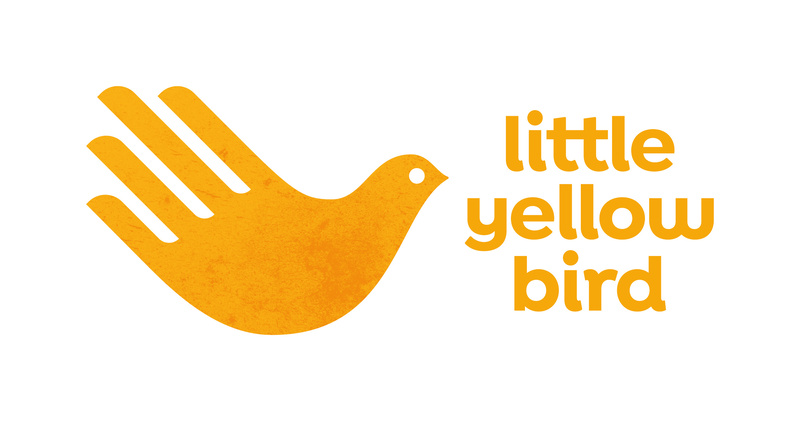 Little Yellow Bird has complete transparency over our supply chain, we already report on our impact annually, but we are currently unable to effectively communicate the process to key stakeholders in a way that is easily digestible and allows consumers to fully understand the process in real time at the point of sale. We believe that this information should be readily available to all consumers at the time of purchase so that brands can be compared not only on price but also on the positive impact and/or negative externalities that they create. 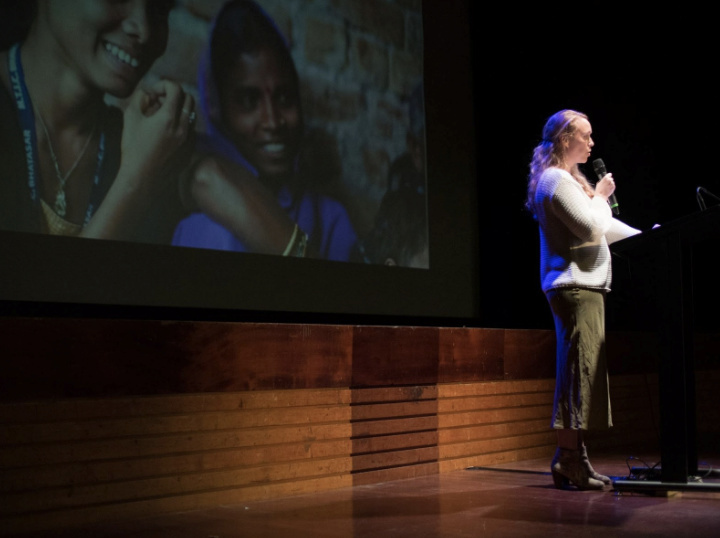 It is time for action, time for fashion to channel its innovative and creative approach toward some of the world’s most pressing social and environmental challenges. We want to integrate the NEM blockchain along with mobile and smart tags, to track physical products and verified attributes from origin to point of sale (POS). By providing accurate, real-time data we will be able to reduce inefficiencies and provide authentication on where and how raw materials move throughout the supply chain to the final customer. Millenials are demanding transparency and making purchasing decisions based on the environmental and social conditions within a supply chain. We want to enable consumers to make a purposeful, impactful and measurable difference. We believe that this model will generate sufficient consumer pressure to encourage big brands to adopt the tracking system. By backing this project, NEM will be at the forefront of the Fashion Revolution movement that has been gaining huge traction since the collapse of Rana Plaza in 2015. Through our partnership with NEM we will be providing brands and end consumers with even greater transparency, positioning NEM at the forefront of creating tangible impact and changing the average consumer’s behaviour. We have chosen to work with NEM because of our initial positive interactions with the NEM Foundation and community. We believe that a simple interoperable blockchain will be the most successful method of ensuring global uptake of this supply chain tool. We are convinced that the Origins certification system via an online platform provides a significant value proposition that will bring even more value to the NEM ecosystem. We are actively involved in building and advocating transparency in supply chains and NEM related projects & initiatives across New Zealand. Feel free to get in touch via Telegram at any time. We are creating an electronic supply chain platform that will provide proof of origin and illustrate the associated costs at each stage of the supply chain to provide real-time access to information and enable brands to accurately track and monitor commodities through each stage of production. Our vision is that one day, every product is made with minimal environmental impact and harm to the people that make it. In order to achieve this consumers need to be able to access real-time, accurate data about the products they purchase, their origin, journey and impact. We already have access to this information but there is currently no way to actually authenticate this and share it with consumers in an easy to digest and meaningful format. We are also unique and want to commercialise and normalise this approach so that it becomes a standard requirement within the garment sector. Most fashion brands do not have access to this information and have little knowledge about where and how their products are made. Most do not pay their workers a living wage or ensure the safety of the people that make their clothes. 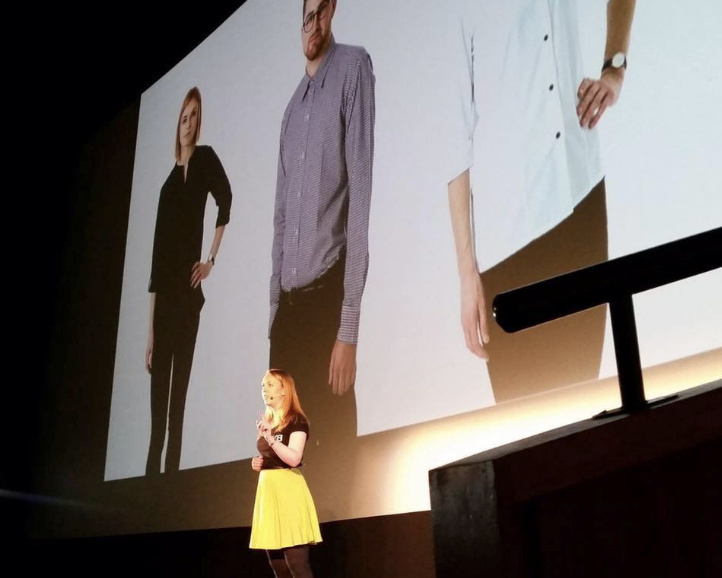 We want to change this, first by targeting our eco fashion community who we expect to be early adopters, followed by targeting major fashion brands who are actively trying (and failing) to solve these issues internally. Similar to the Fairtrade labelling standard, the success of the Origins platform will rely on consumer recognition and willingness to publish Origins labelling across their website, marketing material and product packaging, utilising an underlying NEM based protocol. The Origins platform will use namespace to install trust and gain recognition as the official notarizationtion for products containing the Origins domain and label. The Origins platform would utilise a NEM Apostille account to verify each part of the ethical supply chain. Electronic certifications and the ability to measure quantities moving through the supply chain which can be cross checked against known capacities will significantly reduce the risk of outsourcing, a major concern for fashion brands with global supply chains. Utilising NEM, the system will also prevent double bookkeeping which is an inherent risk. 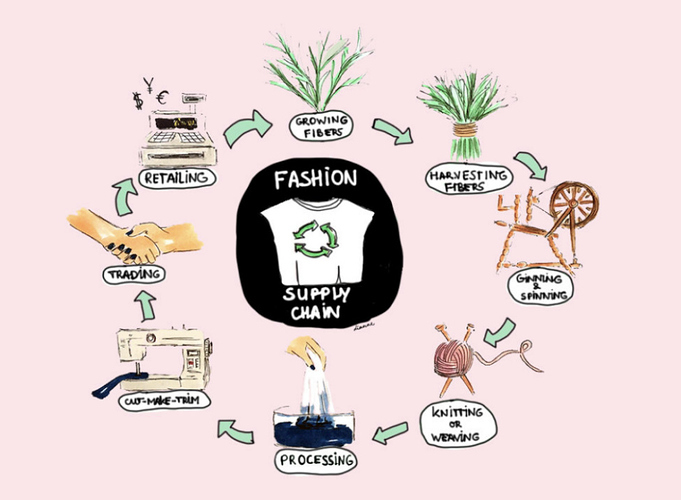 Many eco fashion brands want to make investments into the communities that produce their raw materials. It is currently difficult for even the most transparent brands to trace the origins of their raw materials past farm or cooperative level. We invest in the cooperatives where we source from, this totals 40,000 farmers. 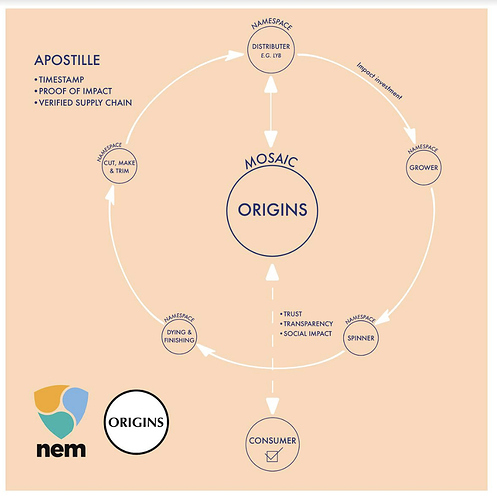 It would be mutually beneficial for both brands and individual farmers to be able to link the origin story to a specific farm, using NEM and Apostille. While our solution is specifically designed to be implemented in fashion we anticipate this being transferable across industries. We envisage collaborating with other organisations that share our same mission of bringing increased transparency to global supply chains and minimising negative externalities. The Little Yellow Bird team has had globally-recognised success as well as strong connections within the Fashion community. We understand our market because we have faced the issues we are trying to solve numerous times. Over the last four years of operation we have consistently heard the same issues repeated from other brands. Our connections and positioning as one of New Zealand’s leading ethical fashion brands and social enterprise positions us well to onboard early adopters, some of which are already our clients. It is intended that the Origins platform will be a valuable entity in itself with the ability to integrate easily with supply chains worldwide. We intend to create the world standard in ethical supply chain blockchain solution that can be implemented globally. Partnerships with global, values aligned ethical fashion companies will enable our platform and impact to scale exponentially. 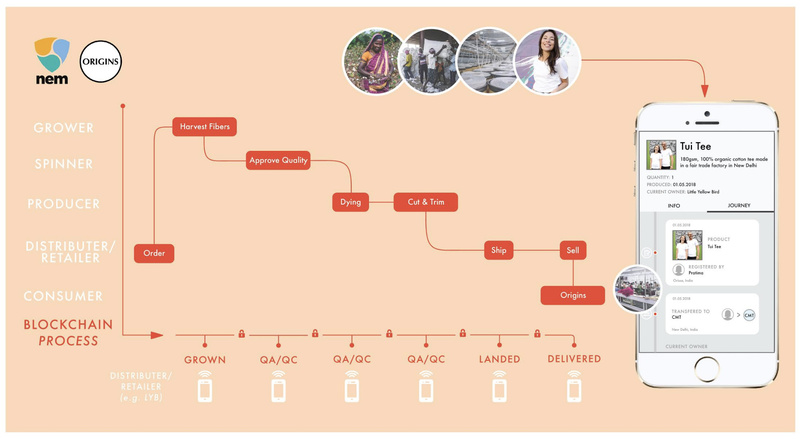 Origins will become a global solution authenticating raw materials and inputs in fashion supply chains, ultimately enabling consumers to make an impactful, measurable difference simply by choosing brands that align with their values. We anticipate that any revenue or profit from this venture would enable the next generation of changemakers to improve labour and environmental conditions in the garment industry and therefore intend to direct 50% of any profits from the sale of this solution to supporting innovative fashion brands solving real world environmental issues. Brands and platforms that integrate and utilise the Origins solution will pay a 1% licensing fee. This structure is similar to other third party verification systems such as Fairtrade which requires an annual fee + up to a 2% licensing fee on the retail value of products containing the Fairtrade labels. This model reduces the upfront costs to businesses. Businesses pay an annual licensing fee based on the size and scale of their business. This model would be a tiered approach similar to that used by the B-Corp community. This enables small-scale brands with a lower barrier to entry. Is an ex-military Logistics Officer and Supply Chain Manager with experience in implementing and using new technologies in unknown environments. Samantha is an expert in Supply Chains and has specific specialist knowledge in RFID and barcoding. Her International Security Master’s Thesis was “How to implement Radio Frequency Identification to Enhance the Security of Military Supply Chains.” Samantha also has expert knowledge in combating counterfeit items in military supply chains, which pose a significant risk to air safety. Samantha was the lead logistician responsible for setting up new supply chains as the new P3K2 platform was on-boarded for military service for which she received a Chief of Air Force Commendation. She was also involved in several projects to mitigate counterfeit propellers and P3K2 electronics from entering those supply chains. Samantha has won multiple awards since setting up Little Yellow Bird including being a finalist in the New Zealand Women of Influence Awards, Wellingtonian of the Year and was recognised as New Zealand’s Young Innovator of the Year in 2017. Samantha also has a Masters in Engineering Management and is an Edmund Hillary Fellow. Ākina has been honoured to walk alongside Samantha Jones and Little Yellow Bird for the last two years. As New Zealand’s principle intermediary for social enterprise, our role is to help create the conditions for social enterprises to be successful, providing direct capability support, access to markets and access to capital. During the time we have worked with Samantha, we have been so impressed with her abilities, passion and unlimited drive for the impact that Little Yellow Bird can achieve, delivering significant social and environmental outcomes while learning and improving at every step. Samantha is constantly proving her ability to execute on projects, exceeding expectations on what can be achieved and pushing herself to learn more and acheive greater impact. Impact is what Ākina is all about - we believe impact has the power to transform our economy and in my mind, as CEO of Ākina, there is no better example than Little Yellow Bird. The power of what they can achieve through both the impact of their organisation and what change they can lead for the fashion industry as a whole is exciting, and we are proud to be able to support in any way we can. An outstanding project. I personally support any attempt for world trade to be fair. In addition, this is a great use example of Nem. Good luck, my support is sure. Thanks, glad to have your support. Many questions for this project? @Vlad_Bondarenko if you want ask some specific questions please ask. Right now it looks like you spamming all over the forum with meaningless couple words per post (this is not chat). If english is not your native language you can use google translate or other translator. This proposal kind of blows my mind – I really hope you get funded, and you will have my vote. What’s so cool is that I can see how this approach could be applied to a whole range of industries, creating a much less intermediated regulatory process that gives consumers more direct power over what they’re buying. Hooray for that! Regarding the cost of development – we’ve got a proposal up at the moment (similar funding level) and also had questions about the cost. Sounds like we are in a similar situation, after having thought long and hard about exactly what we could promise with the leanest process we can come up with, it feels like a tight budget. The main reason we think we can do it is the strength of the NEM development offering. I definitely don’t think we could do it for that budget without that assistance. I guess I just wanted to say that I think your proposal is very worthwhile and your budget seems very reasonable to me. Thanks Matt, my experience is definitely in the fashion industry but we would be considering how this could be applied across a range of industries as I think that’s where the key value is and insuring it is built in a way that it is industry agnostic. Re costs I do think this is conservative but I’m also conscious of keeping the budget tight as we (Little Yellow Bird) have always operated with tight budgets (and timeframes) and I think it makes for a more effective organisation when your team is forced to be creative and not waste resources. I am really open to reconsidering how much we are asking for though if people with more experience than me on the development side think it needs to be re-scoped. A video taken of our supply chain providing an overview of what we want to achieve with NEM. Great to see NEM empowering another social impact project. @Samantha_Jones will the social and environmental impact metrics also be recorded on NEM’s infrastructure or will that be separate? Yes this will be a key feature as we want to be able to empower consumers to make decisions at the point of sale based not only on price but also environmental and social factors. 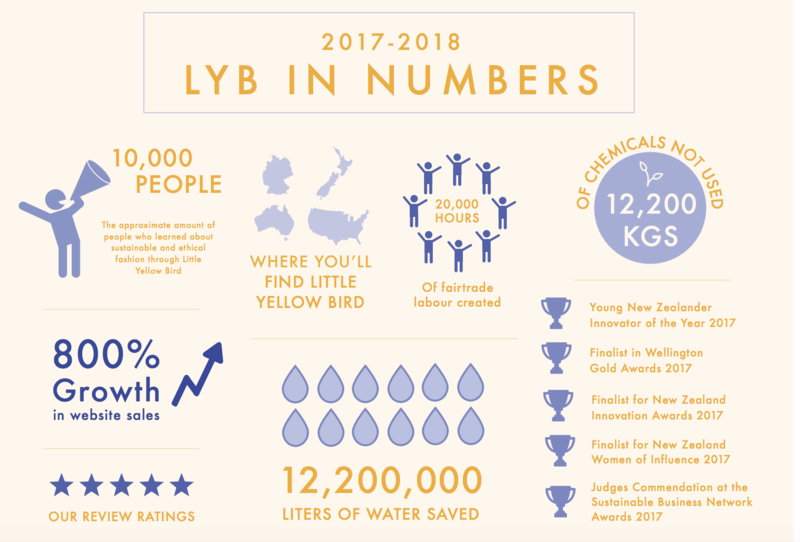 We are already able to measure our own environmental impact per kg of cotton used at Little Yellow Bird and it’s also relatively easy to work out the labour time per line item. The ultimate vision is that on the back of every swing tag is a code which details not only the products journey but also the environmental and social impacts too. You can take a look at the overall impact report for Little Yellow Bird from the last year here. Our aim is that all companies would be able to produce something similar by using the Origins platform. 20,000 hours of fairtrade labour created, 12,200 of chemicals/pesticides not used and 12million litres of water saved - impressive impact. To have this social + environmental impact baked into your NEM infrastructure could be a leap forward in the supply-chain industry. Do you think that impact data attached to every product is enough to influence consumers’ purchasing behaviour? Definitely not going to change all consumers behaviour but it would change the behaviour of our target audience. There’s a lot of green washing in the apparel space and also a lot of consumers who want to support values aligned businesses but don’t have access to the right information. This is who we think we can influence by providing the information at the point of sale.